Have you ever considered LASIK? 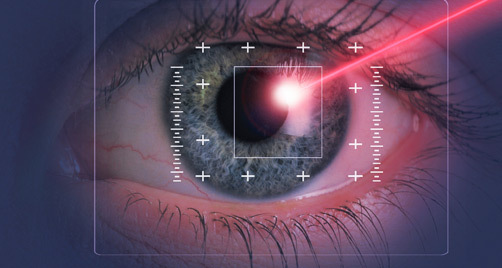 LASIK is a quick, effective outpatient surgical procedure designed to permanently improve the patient’s vision. Many vision problems, including myopia and astigmatism, are caused by a misshapen cornea. To treat these conditions, a laser is used to expose the misshapen cornea by lifting away a flap of outer corneal tissue. An extremely precise medical laser can then reshape the cornea, allowing the eye to focus light more precisely for clearer everyday vision. Finally, the flap is replaced, where it heals without stitches. Before undergoing LASIK, our patients must be evaluated to determine whether they are good candidates for the procedure. While the majority of healthy adults are eligible for LASIK, it is important to determine that the procedure will be safe and effective before proceeding. For patients who are not good candidates, other attractive vision correction options do exist. One of the greatest advantages of LASIK is its safety. Though complications are extremely rare, there are risks associated with LASIK as there are with any surgical procedure. However, complications arise in only a handful of patients, and most are relatively minor. The most common vision correction complications are temporary or permanent dry eyes that must be treated with eye drops. Using the latest vision correction technology, we can minimize the risk of complications to make the procedure as safe as humanly possible. Before undergoing LASIK vision correction, our patients undergo extensive testing, measurement, and wavefront corneal mapping to ensure that we know as much as possible about their eyes. It is important to discontinue contact lens wear for several days or possibly weeks before testing in order to allow the eyes to return to their natural shape. The LASIK procedure is quick, convenient, and essentially painless. Including prep time, treatment usually takes no more than an hour. The actual surgery takes 15 minutes or less, and patients are free to return home after the procedure is complete. It is important for Doctor Tanner to evaluate the healing process. He will see you at 1 day after surgery, 1 week after surgery, 3 months after surgery and 6 months after surgery. Healing time after LASIK is relatively short. Most patients notice improved vision almost immediately, though complete recovery and stabilization may take up to six months in some cases. Ultimately, many of our patients achieve vision so good that they rarely or never need to rely on glasses or contacts after vision correction. SCHEDULE a LASIK Consultation TODAY! Our team would be happy to help if you want to learn more about LASIK. Contact Premier Family Eyecare in Loveland, Colorado, to schedule a vision correction consultation or to request more information. SEE us for superior LASIK treatment at an affordable price.